Fido and Friend in Five: Laura DiSilverio and Marco! I love reading mysteries. I'd even like to try writing a mystery, but I just don't think I'm smart enough. I think you have to have a mind that works in certain ways, sees things that others don't see. You not only have to "see dead people," you have to have a mind that likes to create complex knots, and then untie them. And some people have the background that lends itself well to creating these knots. 1. How did you and Marco find each other? After my chocolate lab died of old age in 2002, we waited two years before we felt ready to adopt a new puppy. We did a lot of research and finally settled on a Wire-Haired Pointing Griffon because they're smart, good with kids, and low-shedding. 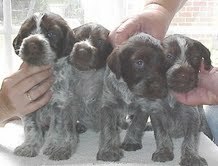 There were no litters in Colorado, but we found one in Alabama, near where my folks lived, so I corresponded with the breeder, and my mom drove me over to look at the pups. She gave them and the breeder a "thumbs up," so when the puppies were old enough, I flew back to Alabama, spent a morning playing with the litter, and selected Marco to bring home. He flew with me in a crated tucked under the seat in front of me on the airplane. 2. What makes Marco's tail wag? Walks, walks, walks. Rides in the car. Being patted (non-stop). Play 'tug', chasing squirrels. Rolling in grass or snow. Did I mention walks? 3. What's your all time favorite dog story? The Big Red books. 4. If Marco could change just one thing about you, what would that be? The fact that we leave him alone sometimes. He'd like to spend every minute of every day with his "pack", and he gets sad that we go off to jobs and schools and church and restaurants (and many other places) without him. He knows when we're leaving, and he tucks his tail under and looks convinced we're never coming home again. 5. In five words, tell us what Marco means to you: Love. Companionship. Comfort. Long walks. 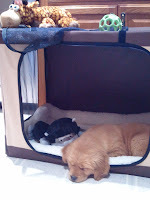 Thanks to Laura and Marco for taking out time from writing and walking to visit Fido and Friend in Five. If you're a mystery lover, be sure to check out Laura's mystery series. You can find out more about them and her on her website. Fido and Friend in Five: Randi Barrow and Manuel! Randi Barrow and I have a surprising number of things in common: 1) we both have gender-neutral names 2) we both write for Scholastic 3) we both write about and are inspired by dogs 4) both of us have books that take place in Russia and 5) we both have characters in our books that take place in Russia named Ivan and 6) our Ivan boys do whatever it takes to survive, often with the help of their canine friends. If all this doesn't make us related in some way, I don't know what would. Oh, and we both had loads of research to do for our book. I wonder if she enjoyed it as much as I did? Randi is the author of the amazing and riveting Saving Zasha, and its newly released prequel, Finding Zasha. 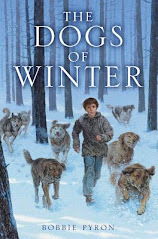 I'd read Saving Zasha when it first came out, as I was finishing up revisions on The Dogs of Winter, reading any middle grade book I could get my hands on set in Russia. I loved the book and was so excited when I read she had a prequel to it coming out! Let's do this in chronological (rather than publication) order. Finding Zasha is the story of 12-year-old Ivan, trapped with his mother during the siege of Leningrad in 1941. I didn't know until I read this book just how devestating the German siege of the city was. Millions died! To survive, Ivan's mother sends him away to a little-known uncle in the outer reaches. How Ivan meets and falls in love with a German Shepherd dog being trained to hunt Russians like himself is the crux of this story, and it's a heart-warmer. 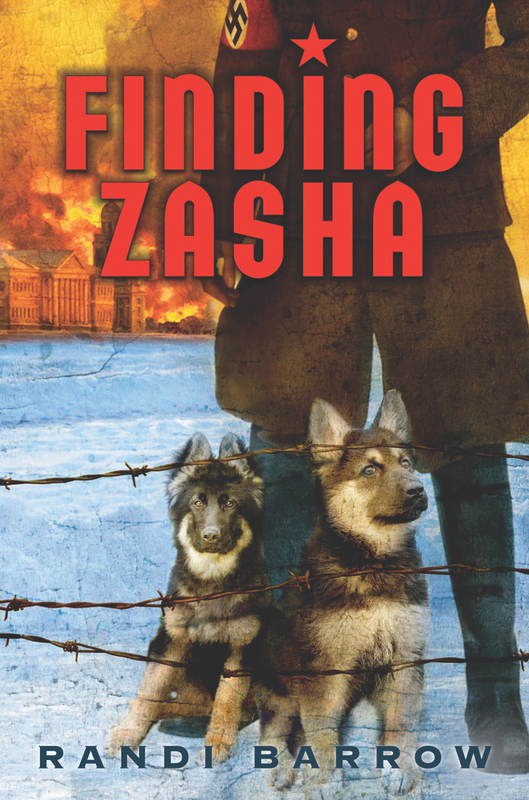 Saving Zasha is set in Russia in 1945 at the end of World War II. Both books are full of all kinds of interesting facts and insight into life in Russia during and after the war. And, I might add, are beautifully written. I asked Randi in an email exchange if she always knew she'd write the story before Saving Zasha. 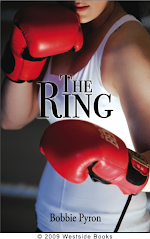 She wrote, "I didn't have a prequel in mind and neither did my publisher. I just knew I wanted to write more, using the history I'd learned (in writing the first book) and incorporate some new characters. 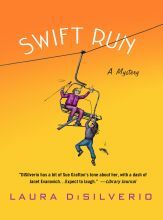 The interesting and fun part was trying to tie it all together." Randi familiar with the hardships kids can face. She was an adoption attorney for twenty years before she became a writer. She wrote a book based on her experiences called Somebody's Child: Stories from the Private Files of an Adoption Attorney. These days, Randi lives and writes in Los Angeles with her husband and her most handsome boy, Manuel. Let's meet them in todays Fido and Friend in Five! 1. How did you and Manuel find each other? A neighborhood dog I loved very much died. A friend slipped a brochure from a no-kill shelter into our mailbox, knowing how sad I'd be. That was all the encouragement I needed. Within hours, I was there, telling the woman at the shelter that we hoped for a "small, sweet, quiet" dog (I laugh when I read that now.) She said, "Let me introduce you to Manuel!" He was emaciated, looked a little sad, and shy, but there was something about him that made me know he was the one. My husband had to work that day. Thank goodness he trusted me or we might have missed out on meeting our Manuel! 2. What makes Manuel's tail wag? Words make his tail wag. Words like Go, and Walk, and Treat, and Holly. Holly is a mini-pincher who lives down the street. She manages to escape her house with some regularity and comes to visit Manuel. Whenever she arrives, there is an explosion of sound, as if the world's biggest emergency is at hand! After they start to play--after Holly reminds him who's boss--he is one happy dog. 3. What's your all-time favorite dog story? As corny as it sounds, it's probably Lassie Come-Home, by Eric Knight (OMG, another thing we have in common!!!). And I like the 1943 movie with Roddy McDowall and Elizabeth Taylor even better than the book. That Lassie has to be sold so that the family can eat...does it get more heartbreaking? Watching that magnificent dog swim in the cold Highland waters, escape from robbers and dog-catchers, or arrive half-dead at the old people's cottage, is spellbinding. At leas to me! 4. If Manuel could change just one thing about you, what would that be? He would unchain me from my desk, from the telephone, from errands, and other mundane chores and never let me leave his side. Maybe he has a point. 5. In five words, tell us what Manuel means to you: Happiness, joy, love, tolerance, perfection. Many thanks to Randi and Manuel for sharing their story on today's Fido and Friend in Five. To find out more about Randi and her books, be sure to check out her website. Happy tails! Fido and Friend in Five: Kristin O'Donnell Tubb, Lucky and Cookie! "What's your sign?" That's a question those of us "of a certain age" were frequently asked when first meeting someone new. Now, not so much--but I bet a lot of you still know your sign and still read your horoscope most every day. But I bet you didn't know there's a thirteenth sign in the zodiac. Author Kristin O'Donnell Tubb's (who, for the record, is one of those visionary aquarians) new middle grade novel, The Thirteenth Sign, explores this possibility of a thirteenth sign and all the problems that would cause: your personality would change, as would not only everyone else's that you know, but the world! When Jalen accidently unlocks the 13th sign, she must use all the cunning and strength of her sign to save the lives of those she loves. Kirkus calls The Thirteenth Sign, "original and action packed...the ultimate astrological fantasy." High praise indeed coming from Kirkus! 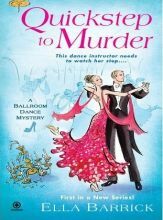 Kristin is also the author of the award-winning Selling Hope and the delightful Autumn Winifred Oliver Does Things Different. 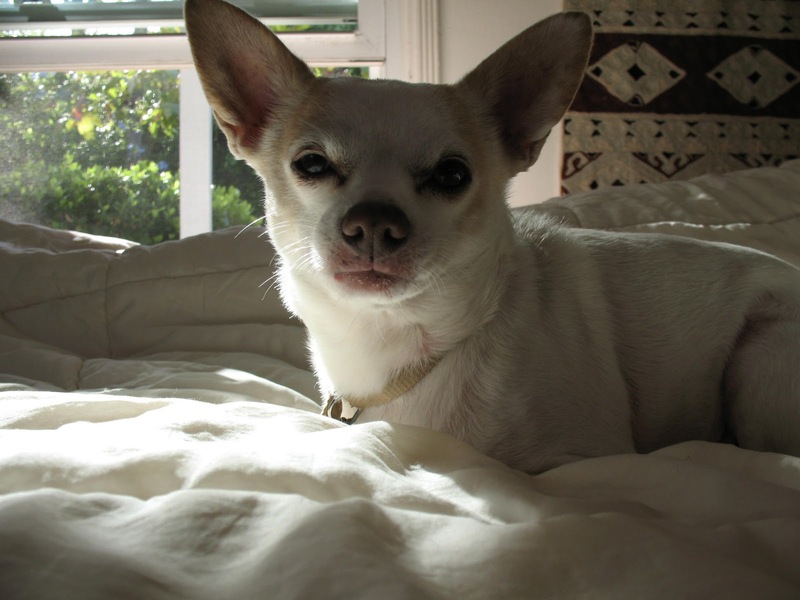 Cookie was a rescue dog. I was out of town--at a writers retreat, in fact--and my husband sent me a text with her picture. The caption read, "We want her!" They caught me at a good moment (I had been writing for three days straight, after all!). I agreed, and I'm so glad I did! Cookie is a sweetheart, and soooooo smart. She still has a bit of that rescue-dog mentality, so she's super protective of her food and toys. But she's healthy and happy and a wonderful part of our family. 2. What makes Lucky and Cookie's tails wag? Cookie LOVES playing fetch. Loves it. Lovesitlovesitlovesit. Could play 24 hours straight, I believe. Tennis balls bring her so much joy, her whole body wags. Lucky adores bubbles. He can jump 5 plus feet into the sky to snap at one! His mouth gets frothy and he sometimes crash-lands, but when I say, "Lucky--bubbles?" he barks like he's won the doggy lottery! 3. What's your all-time favorite dog book? Because of Winn Dixie, by Kate DiCamillo. Wow, the power of that story. I read it to my daughter when she was seven. We cried, we laughed--it is beautiful. Or oh! Love That Dog, by Sharon Creech. Gets me right here (points to her heart) every time. But what dog novel am I most looking forward to reading but haven't yet? The Dogs of Winter, of course! Its been on my TBR list since I first heard the premise. 4. If Cookie and Lucky could change just one thing about you, what would that be? Oh, great question! They would want me to play more, I believe. Which is, ironically, one of my 2013 New Year's Resolutions! 5. In five words, tell us what Cookie and Lucky mean to you: Fuzzy-faced love and loyalty. Thanks so much to Kristin and her pups for stopping by to visit with us. 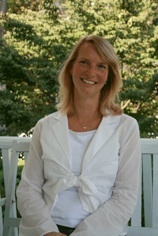 Be sure to check out Kristin's website and blog to find out more about her and her books. Being an aquarius, she does lots of cool things on there! And for the record, I'm a Moon Child--otherwise known as Cancer the Crab. 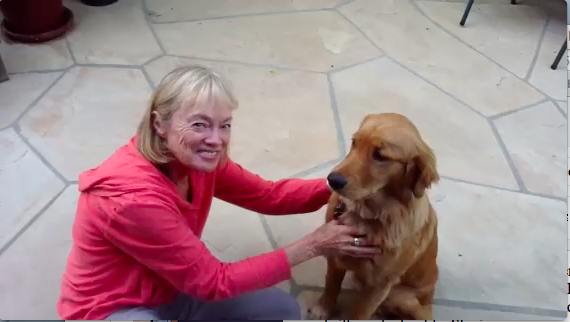 Fido and Friend in Five: Valerie Hobbs and Maddie! Happy 2013, everyone! I'm normally very superstitious about the number 13. When I'm at the gym, I will never, ever do 13 repetitions of something; I never fly on the 13th, and my husband and I have agreed that we will celebrate our 14th anniversary--twice! So you can imagine how I feel about the year 2013. However, I'm determined this will be, in fact, a very good year--or at least not calamitous. And what a way to get a lucky start to this year with a Fido and Friend in Five visit with one of my very favorite authors, Valerie Hobbs! 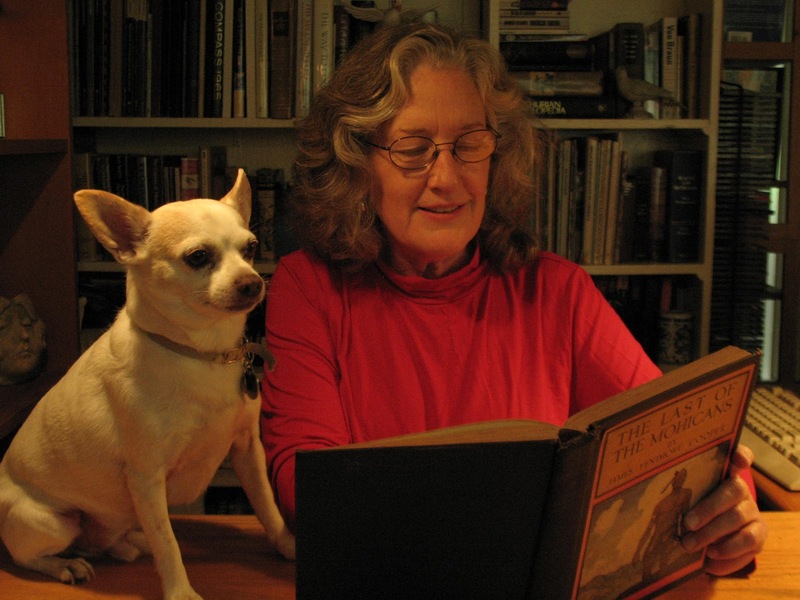 Valerie is the author of eleven novels, two of which (and my unabashed favorites) are dog stories. 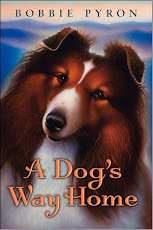 A short story of hers, which was inspired by a German Shepherd mix she had as a child, also appears in the doggy short story collection Because of Shoe. 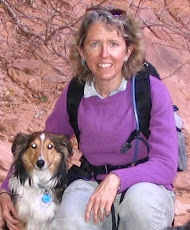 My favorite Valerie Hobbs book is a charming, funny, wonderfully realized novel called Sheep, about a border collie named Jack looking to reclaim his purpose in life. 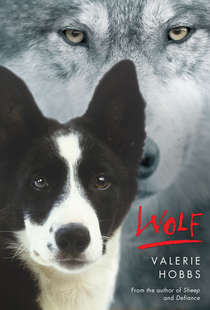 Valerie has a sequel to Sheep called Wolf coming out this September. Hurray! Valerie has also written non-dog books, many of which are just as wonderful and have garnered lots of praise and awards. Whether Valerie is delving into the mind of a Border Collie, exploring the plight of urban runaways, the moral complexities of the Vietnam war, or a shy girl learning to stand up for what she believes in, Valerie does so with astonishing insight and compassion. 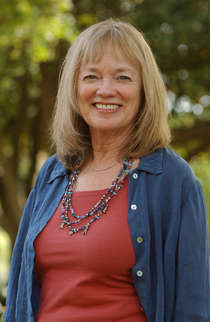 Valerie also taught for a long time at the University of California. 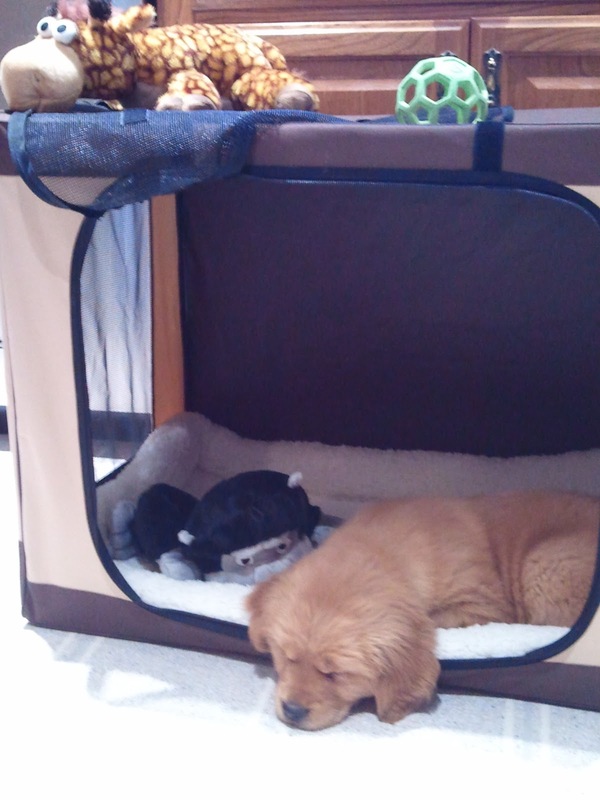 Those toys wore me out! 1. How did you and Maddie find each other? 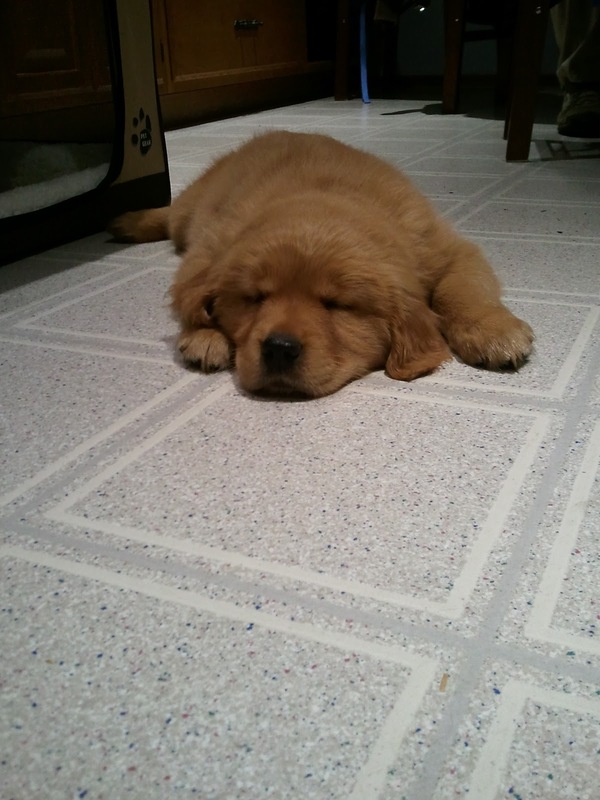 My friend, Gwen, adopted a seven week-old Golden she named Maddie. I fell in love with Maddie at first sight. She was floppy and silly and adorable. She is now seven months old and maturing into a beautiful lady. 2. What makes Maddie's tail wag? Toys! I gave her a stuffed porcupine and a red dragon. Both squeak, which makes her very happy. 3. What's your all-time favorite dog story? I'll have to say my own. It's called Sheep, and it's about a homeless border collie. The sequel, Wolf, will be out this fall. 4. If Maddie could change just one thing about you, what would it be? I would have to pet her 24 hours a day. 5. In five words, tell us what dogs mean to you: Faithfulness. Who needs five words when one says it all! 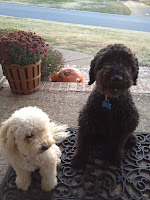 Thanks so much to Valerie Hobbs and her BFF, Maddie, for starting out the new year of Fido and Friend in Five. If you haven't read Valerie's books, put her at the top of your Authors-to-Read-This-Year list! And visit her website to find out more about her and the latest news. It's all good!